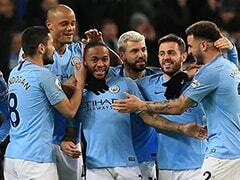 Raheem Sterling scored the fastest goal of the Premier League season as leaders Manchester City got back on track with a 3-1 win against Watford on Tuesday, while Fernando Llorente and Dele Alli helped Tottenham register a 2-0 victory against Swansea. Sterling struck after just 38 seconds before Christian Kabasele's first-half own goal put Pep Guardiola's side in control at Eastlands. Sergio Aguero made it three as City gave the perfect response after their 18-game winning run was ended in a goalless draw at Crystal Palace on Sunday. 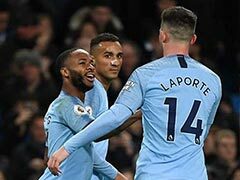 Unbeaten City are 15 points clear of second-placed Manchester United as they continue to turn the title race into a lengthy coronation party. Guardiola had complained that the hectic festive fixture schedule was a "disaster" after City striker Gabriel Jesus suffered a knee ligament injury at Palace. But Guardiola was able to replace the Brazilian with Sergio Aguero, while David Silva returned from a two-game absence. 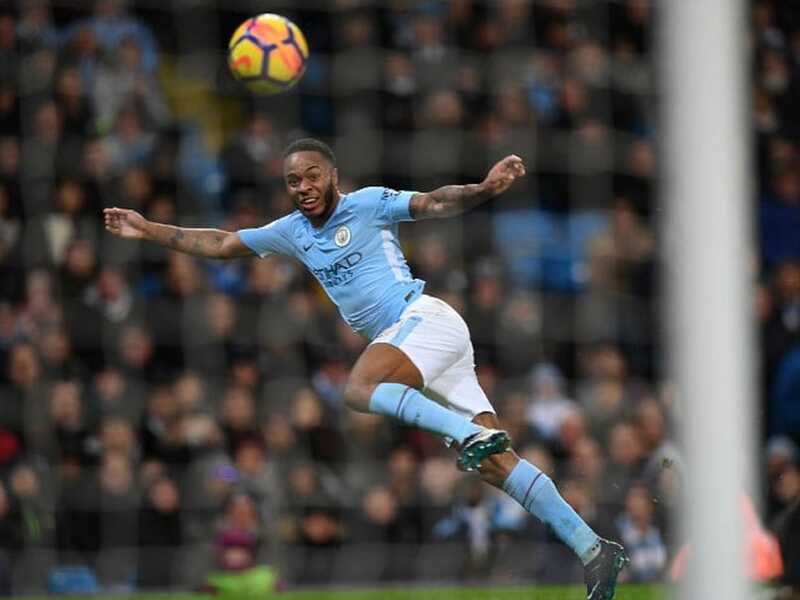 City, playing their fourth match in 11 days, were ahead inside a minute as Sterling met Leroy Sane's cross with a near-post finish for his 18th goal this season. Having won 6-0 at Watford in September, City looked on course for another rout in the 13th minute when Watford's Kabasele sliced an attempted clearance into his own net from Kevin De Bruyne's cross. Yet they had to wait 50 minutes to score again as Argentine forward Aguero netted from close-range for his 16th goal of the season. Andre Gray's 82nd minute goal for Watford came way too late to avoid a sixth defeat in their last seven league matches. "We played really well. After dropping two points, we spoke about our reaction because big teams drop points but not too much," Guardiola said. With Harry Kane only fit enough for a place on the bench after illness, former Swansea striker Llorente made his first league start for Tottenham at the rain-lashed Liberty Stadium. Llorente marked the occasion with a 12th minute goal, the Spaniard powering home a header from Christian Eriksen's free-kick despite Swansea's appeals for offside. Puddles all over the pitch made it hard for Tottenham to establish their smooth-passing game and Kane, who finished 2017 with consecutive hat-tricks, was sent on for Llorente after 68 minutes. Kane made his presence felt with a perfect pass to Dele Alli and the Tottenham midfielder finished at the second attempt to wrap up the points in the 89th minute. Tottenham move above Arsenal into fifth place and sit four points behind fourth placed Liverpool with a game in hand. "The weather was horrible but we dominated and tried to play football. Overall I think we were better and deserved the three points," Tottenham boss Mauricio Pochettino said. Swansea remain bottom of the table as new boss Carlos Carvalhal was beaten for the first time in his second match since replacing the sacked Paul Clement. Andy Carroll's stoppage-time strike sealed a vital 2-1 win for West Ham against second bottom West Bromwich Albion at the London Stadium. James McClean's deflected shot from the edge of the area put Albion in front in the 30th minute. But Carroll equalised with a bullet header in the 59th minute, his first goal since April. Carroll followed up his opener with a dramatic winner from close-range, lifting David Moyes' side out of the bottom three. West Brom are winless in 20 top-flight fixtures -- only three clubs have endured longer runs without a victory in the Premier League: Derby with 32, Sunderland with 26 and Norwich with 21. Crystal Palace came from behind to win 2-1 at Southampton thanks to Luka Milivojevic's late goal. 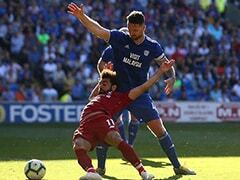 Palace fell behind in the 17th minute as Saints striker Shane Long scored for the first time since February last year. Long's fine finish raced into the top corner from Jeremy Pied's cross. But Palace equalised in the 69th minute when Scotland midfielder James McArthur volleyed home from Christian Benteke's header. 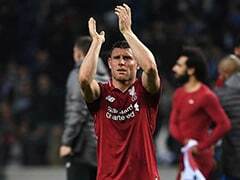 And Serbia midfielder Milivojevic redeemed himself for missing a last-minute penalty against Manchester City at the weekend as his long-range curler in the 80th minute lifted Palace away from the relegation zone.